PETALING JAYA (March 26): A stronger performing economy has not helped the Kuala Lumpur office property sector as it continues to struggle with an oversupply of new buildings amidst subdued leasing activities, said global consultancy firm Knight Frank. 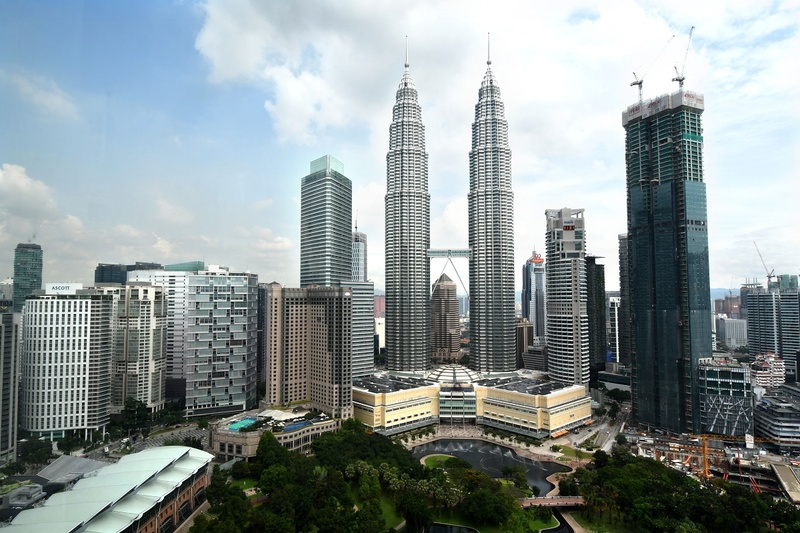 In its Asia-Pacific Prime Office Rental Index for 4Q17, Knight Frank has projected Kuala Lumpur office market rentals to be on a downward trend in the next 12 months. “The growing mismatch between supply and demand continues to exert pressure on overall rental and occupancy levels. “On a positive note, with rising demand for co-working space catering to the growing millennial workforce, 2018 will see active enquiries and leasing activities from co-working operators,” said Knight Frank Malaysia executive director of corporate services Teh Young Khean in a press release today. Meanwhile, the office market in Singapore showed continued signs of recovery in 4Q17, with active leasing activity gathering pace. Overall, the index has increased 0.7% q-o-q and 1.1% y-o-y in 4Q17. The increase in the index was the result of rising rents in 12 of the 20 markets tracked over the quarter, with rental declines experienced in four markets. “Relatively strong economic performance has sustained active office leasing markets across Asia-Pacific in 2017. “Growth in demand from co-working and technology-related spaces will continue to be a prominent trend in 2018 across most of the region’s key markets,” said Knight Frank Asia-Pacific head of research Nicholas Holt. According to Knight Frank, topping the index for the quarter was Jakarta, which has seen a 3.8% q-o-q increase, but prime rents in the city are expected to be tenant-favourable for at least the next 24 months. On the other end of the spectrum with the worst decline was Seoul. Its office market suffered a 1.9% decrease q-o-q but in 2017, the city still posted a 4.3% increase on the back of relatively strong demand last year. “Amidst strong demand with rising rents and low vacancies, the outlook in Bangkok remained positive. Vacancy rates in Phnom Penh continued to drop as more multinational companies moved in to newly-completed prime office spaces. “In Taipei, with no new Grade A office supply in 4Q, rents increased slightly, along with the absorption of existing stock. However, the vacancy rate is expected to increase along with the launch of new office towers, but rents should remain stable,” said Knight Frank’s report. In China, Shanghai’s Grade A office rents remained stable, while the vacancy rates edged downward due to increasing demand from co-working companies for Grade A space. Stock in Pazhou and International Finance City in Guangzhou will increase rapidly in 2018, which will push up the vacancy rates and impose downward pressure on rents. Prime rents in Hong Kong continued to rise in 2017, with Admiralty and Sheung Wan recording the largest growth among districts on Hong Kong Island, up 11% and 9% y-o-y respectively. Central’s rents are expected to rise between 2% and 5% this year with limited supply and sustained demand. Prime vacancy rates in Tokyo continued to slide for the third consecutive quarter, down to 1.6% as at end-2017. Occupiers in Mumbai were impacted in 2017 on account of GST implementation and slowdown in consumer demand. As a result, the corporates focused their attention on getting themselves GST compliant and held back on expansion plans. In Bengaluru, the information technology, information technology-enabled services, e-commerce and co-working sectors remained the important demand drivers in 2H17.